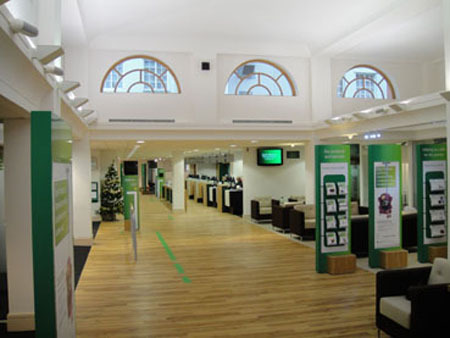 Weston Painting Contractors of Cardiff have recently completed and put the finishing touches to this listed historic and newly refurbished Lloyds TSB Bank in the heart of Gloucestershire. This anti slip resin based seamless floor system was recently installed to meet with today's most demanding environments providing durability, cleanability and reduced maintenance cycles, whist being aesthetically pleasing. Weston Painting Contractors established in 1985 have a strong reputation as one of the UK’s leading commercial painting and decorating contractors. Our head office is situated in Cardiff South Wales where we co-ordinate all of our working operations for the UK. In our industry and beyond, we are respected for our ability to provide safe, durable and highly sustainable protective paint systems, through the use of environmentally responsible products, minimising carbon footprints. Weston Painting Contractors are a CHAS and SSIP accredited organisation, also holding recognition as a Dulux Select and Trustmark approved painting & decorating contractor. We are supported by leading UK paint manufacturers as a partnered and premier commercial painting and decorating contractor. Our key attributes are built on trust and long term relationships that create added value for our customers. Whilst our customers remain our primary focus, our own people are our strength and future. A commitment to ongoing training, innovation and continuous improvement is evidence of our reputation for excellence. 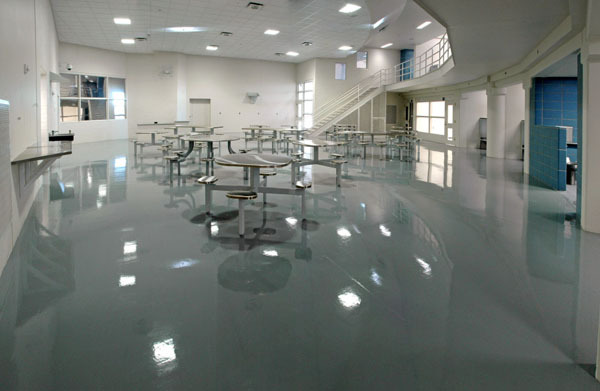 We provide high quality protective coatings for commercial and industrial environments, encompassing a wide range of solvent free paints for long term protection to steelwork, cladding, ceilings, walls and concrete flooring systems. Weston Painting Contractors have committed to providing and delivering sustainability throughout its organisation. Our ethos is to use where possible, solvent free products, reducing the impact on the environment and our carbon footprint.